The Screen is supplied with a heavy duty retraction mechanism and weighted bottom bar to ensure the screen fabric is kept taught. 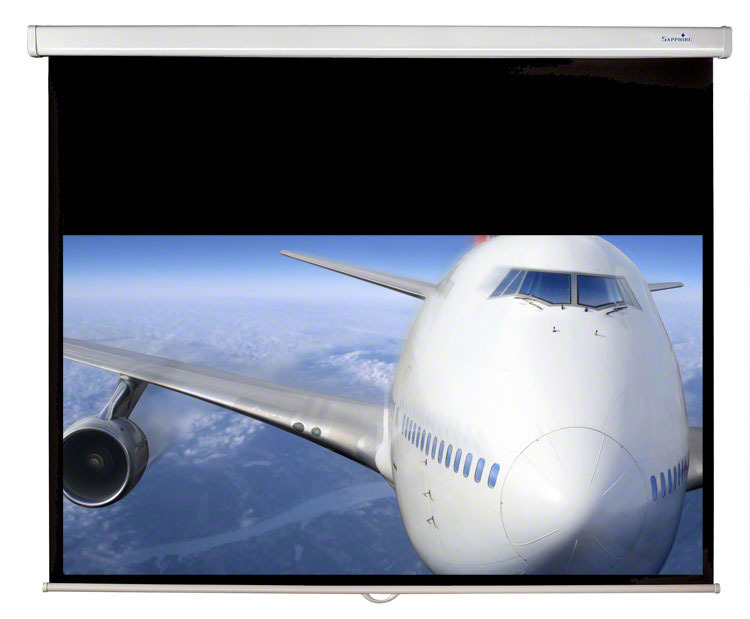 The Screen will lock at any position meaning that you can achieve your desired viewing height every time. 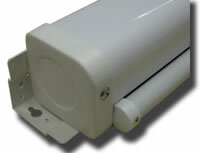 Sleek white slimline casing will allow a discreet installation in any environment. Stylish pull handle integrated into weighted bar. Sapphire's matt white fabric is composed of triple ply fibreglass laminate which helps prevent wrinkles and waves. The screen fabric consists of a special material that helps prevent the loss of light, making it compatible with non short throw projectors. 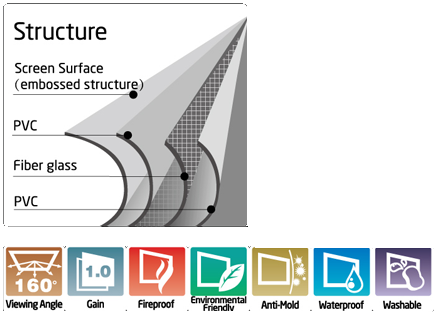 Our screen fabrics are designed to be fire, water, and mould resistant and can be cleaned if necessary. The top layer of the fabric has microdots that are made with PVC technology that helps create the best possible reflection.The 1.1 gain reflects the same amount of light back that the projector produces achieving a true cinema experience. The back of the fabric is completely black enabling you to put this in front of a window. The screen has fixed brackets at either end which allows for wall and ceiling installation.